I’m not sure if my Facebook friends realize how much and how often they help me with content ideas. This post is no exception! I asked them what made them ditch their home offices. This is what they said. Added comments are my own. It can be a drag to look at the same four walls every day. Changing scenery provides a number of opportunities. Sometimes, a shift in space is just the energy you need to move forward with a project or idea you’ve been stuck on or to get you out of a rut. People often share about the energy at InSpark – and with tons of natural sunlight, the space itself can be very inspiring. OK, this is funny actually, but I can also see the truth in it. Showering, getting dressed, etc. can be a great benefit! Being around other people can often create curiosity. I naturally want to know what the people next to me are doing on working on. That is absolutely true here! Coworkers want to know who these “temporary strangers” are! One first time member recently told me on her first day of coworking, she bought something, sold something, and made some great connections! Yes! Coworking spaces often offer great rooms and facilities for holding workshops and other events that offer completely different benefits and more freedom than your typical hotel or convention center. And the pricing is usually way more friendly for the small business owner. This one seems pretty self explanatory to me. I can’t be the only one who talks to my dog. When I was working from home, work avoidance techniques typically included laundry, washing dishes, cleaning the bathroom, etc. Anything to avoid that one task. Studies have actually shown that people who cowork regularly make 50% more. That would mean more trips to the bank! Special thanks to Cynthia Clay for the BOSS addition! This could easily be an addition to #8. Being around other people who are working allows the time and space to focus and crank out items on my to do list. 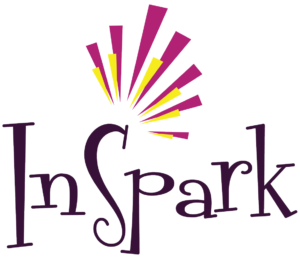 InSpark offers a warm, professional place to meet – and have free coffee, tea, and other amenities that are of benefit for those meetings. Free parking is an additional bonus! Lunch and Learns, Coffee with Creatives, Marketing Masterminds, writing groups, accountability groups, lunchtime chats and more all provide chances to learn something new! At InSpark, every day is slightly different. While the space remains the same, the people who are here on a daily basis can vary quite a bit. We have seen partnerships form and grow, coders commiserating on a shared challenge, members connecting for walks around the neighborhood, emotional support, etc.